After its induction into the Rock and Roll Hall of Fame next month, Kiss will hit the road to celebrate. The rock band announced today (March 17) a co-headlining tour this summer with fellow rockers Def Leppard. The 42-city jaunt across North America is set to begin June 23 in West Valley City, Utah, stretching all the way to Aug. 31 in Woodlands, Texas. The tour was announced Monday at the House of Blues in Los Angeles, with a stream provided online by Live Nation. According to USA Today, the prospect of the bands touring together was first proposed by Def Leppard's Joe Elliott and Kiss' Gene Simmons while the duo played as part of a rock 'n' roll all stars tour two years ago. A pre-sale, hosted by Military.com, will take place starting March 18 at 10 a.m. Regular ticket sales start March 21 on Live Nation's website and mobile app. 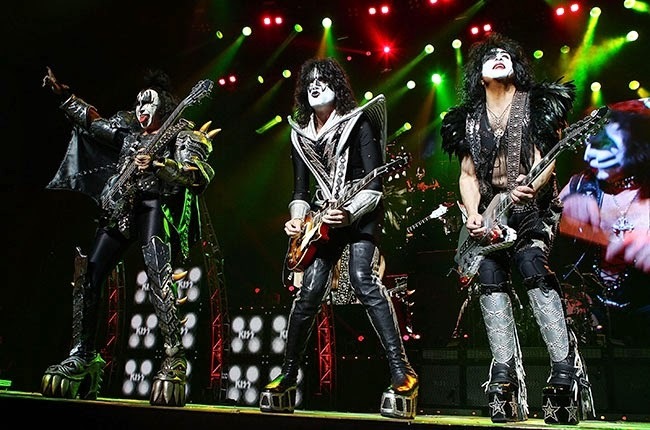 Kiss will be inducted into the Rock and Roll Hall of Fame April 10 in New York -- though it'll only be the band's original lineup getting passes to the hall, something about which Kiss member Paul Stanley has voiced his displeasure in the weeks leading up the induction ceremony. See below for a full list of tour dates.